The purchase contract is concluded with SnorBan DK ApS. The display of products within the online shop constitutes a binding offer on our part to enter into a contract vis-à-vis the items. You may place our products in your basket without obligation and amend your entries at any time prior to submitting a binding order by using the correction facilities that are provided for this purpose and explained during the ordering process. The contract is formed by clicking on the order button which indicates your acceptance of our offer concerning the goods contained in your basket. Once you have sent your order you will immediately receive a confirmation via e-mail. We save the text of the contract and forward the order data and our T&Cs to you by e-mail. The price of each product is displayed with the product. All prices queted on this website are in GBP and include Value Added Tax (VAT). SnorBan shall take all reasonable efforts to maintain correct prices. However, should errors occur and items are offered at incorrect prices, SnorBan will not be obliged to sell goods at such incorrect prices and shall only be liable to refund monies paid. To exercise the right to cancel, you must inform us (SnorBan DK ApS, Dalgas Avenue 40B, 8000 Aarhus C, support@snorban.co.uk, Denmark, Phone: +45 50549804) of your decision to cancel this contract by a clear statement (e.g. a letter sent by post, fax or e-mail). You may use the attached model cancellation form, but it is not obligatory. 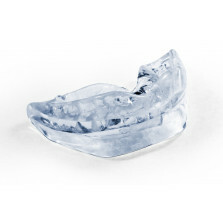 Your SnorBan® mouthpiece is guaranteed for a full 30 days from receipt for the price of the mouthpiece. Simply return the device to us within 30 days and we will refund your money - No questions asked. Then the purchase price of GBP 45 will be returned with a deduction of handling charges of GBP 5. The total refund will be GBP 40. An ideal companion for the SnorBan - good cleaning, good residual taste.